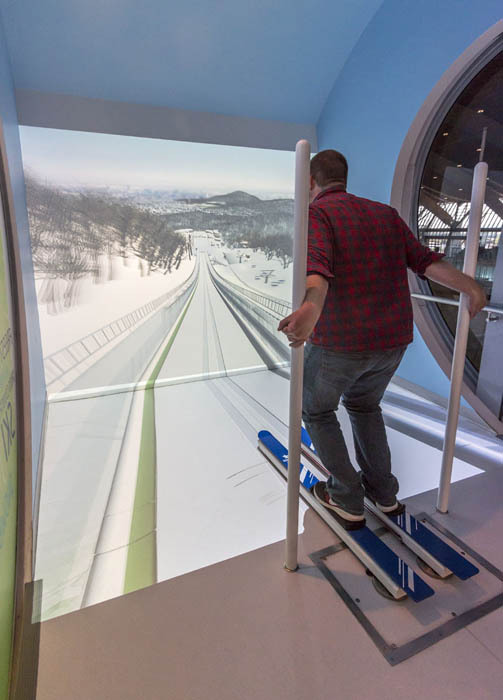 Caption: The interactive ski jump at The Richmond Olympic Oval, an athletic center originally built for the 2010 Winter Olympics. Comments: The interactive ski jump at The Richmond Olympic Oval, an athletic center originally built for the 2010 Winter Olympics. Today it has a gym, complete with climbing wall and the Olympic Experience, a museum with Olympic memorabilia and interactive rides for folks who want to try feeling like an Olympic athlete.